show that God is truly for us. Mondays seem so hard for me. I might have pushed aside through the weekends. to accommodate him and the chores that need done. We work great as a team to get things done around our home. and upgrading our new camper. So, that has been taking up a lot of my weekend time. I feel a bit slower than usual. Maybe turtle speed is more like it... Ha! and I am so glad His Mercies are New Every Morning! I saw this quote the other day and I just loved what it said! I hope you find great comfort in the new week! Happy Day... Loved the quote and I do think the time change affects our sleep and our time schedule. And your camper is going to be so beautiful once it is completed, look forward to the before and after pics! Love the words to this beautiful song. My Monday has been kinda strange...we had rain, sleet and it has just stopped snowing...only abut an inch but enough to cancel the afternoon clinic...half a snow day for me! Daylight savings time is pretty much just another day to me because I turned the clocks forward early in the day. I didn't even miss that hour and went to bed woke up without losing one bit of sleep...lol! Have a blessed week, my friend! Thank you for the lovely and inspiring quotes this evening. I am running slowly today too. That time change messes with me! Have a cozy week, my friend! Love that song. I don't think anyone really likes it when the time changes, I know I don't. Mondays are always a struggle to get life back on track after the weekend! I am really struggling with the time change this year, I just can't seem to wrap my brain around the fact that it is not getting dark now until 7:30. LOL... I had my schedule of starting supper when it started to get dark, and now, but now we are gaining more and more daylight. By June, it will be daylight by 3 a.m. and not dark until 10 p.m. It gains so fast! Not complaining, just the time change did mess with me this year it seems. 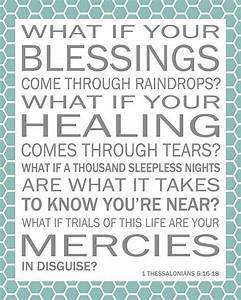 I hope you have a blessed Monday, love the quote you shared, that song has been one of my favorites! Hello Amy! I've been thinking of you this Monday. I hope that you have found some joy in the tasks you have today. I love this scripture and often times the Lord brings it to my remembrance when I lay in bed at night and feel I've not done enough. SO wonderful that you have these projects where you can be of help to your husband! It'll be a cherished thing once it's finished! Praise God that his is ever with us!